This year’s craft fair was held on December 1-2, 2017, in the NCHS gym and commons area. The cost for a 7 x 11 spot was $50.00, and at least 1,000 people attended this year. The entry fee for the craft show $10.00. Door prizes were donated by each crafter for a value of $10.00. There were about 80-85 door prizes this year. Volunteers included students and teachers of different departments from NCHS. The craft fair has been going strong for 36 years, and Ms. King, Assistant Principal of NCHS, has coordinated it for a total of 35 years. In the craft fair’s early years, proceeds went to benefits girls’ athletics, but over the years, the money has been used to benefit different departments at NCHS. 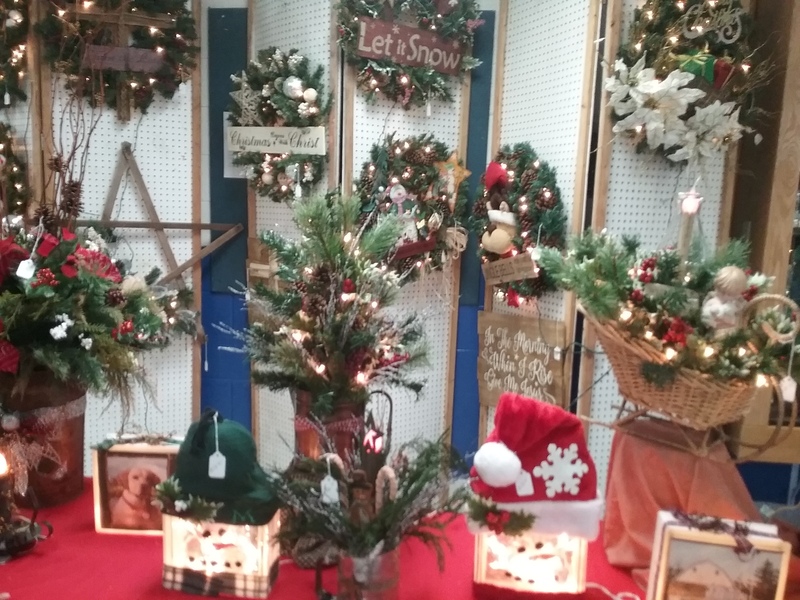 Items that were sold included candles, iron work, blacksmith work, woodworks, quilts, homemade foods, Christmas decorations, decorated lightbulbs, and sewing items. Next year, Mrs. Barker will take over the craft fair as Ms. King is retiring. The students and staff at NCHS would like to thank Ms. King for all the time and effort she has put into the craft fair over the years and also wish her a happy retirement! The 2018 craft fair will be this Friday from 6:30 PM to 9:30 PM and this Saturday from 9:00 AM to 3:00 PM.